﻿ School lockers - HPL sanitary cubicles, lockers and furniture | ATJ System Sp. z o.o. 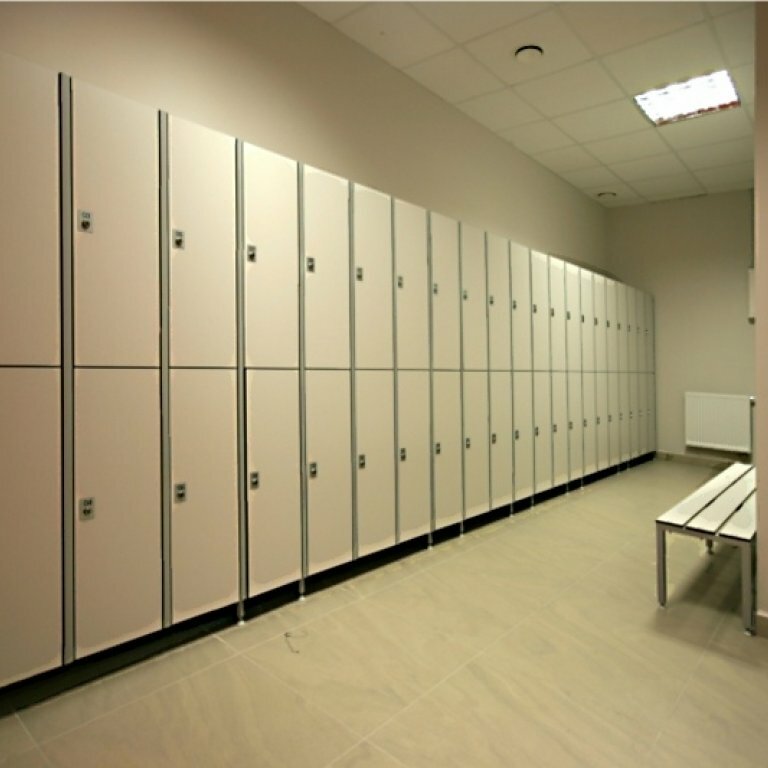 School lockers have been successfully tested and their fitness for use and quality are confirmed by the certificate issued by the COBRABiD-BBC Research and Certification Office. The material from which they are produced meets the requirements of EN 438, it is a certified product according to the Hygienic Approval and Fire Rating Certificate. 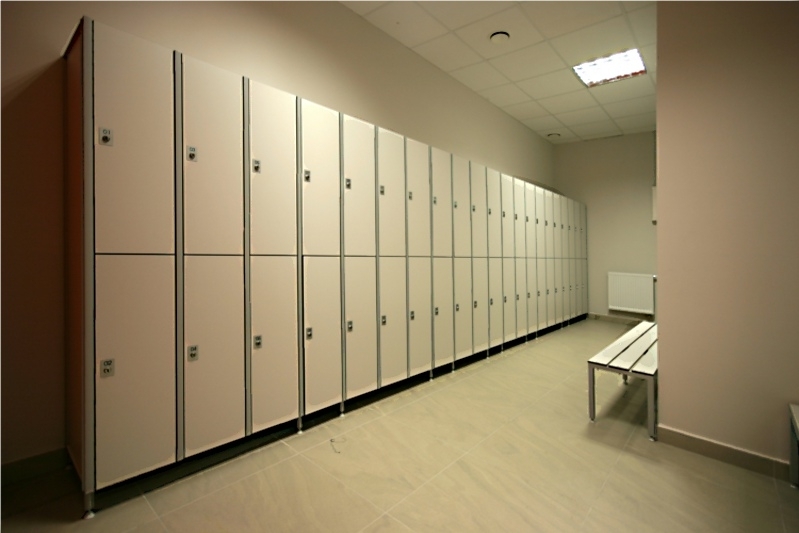 Due to excellent properties of the material such as moisture resistance, resistance to aggressive environment, impact and scratches, easiness to keep the lockers clean as well as bacteriostatic and fungistatic properties, HPL lockers may be installed in schools, preschools and crèches. Standard types of clothes and school rockers: TYPE U1” (S1) – single compartment lockers , TYPE “U2L” – double compartment L-shaped lockers; TYPE “U2” (S2) – double compartment lockers, TYPE “S4” – four compartment lockers are respectively shown in the figure below. On request we execute other types of lockers (e.g. three compartment lockers S3 and O3, five compartment lockers S5, five compartment lockers S6). hinges made of stainless steel, inaccessible from the outside, protecting the doors against a breakup. other types of locks cooperating with the facility access control system may be available.